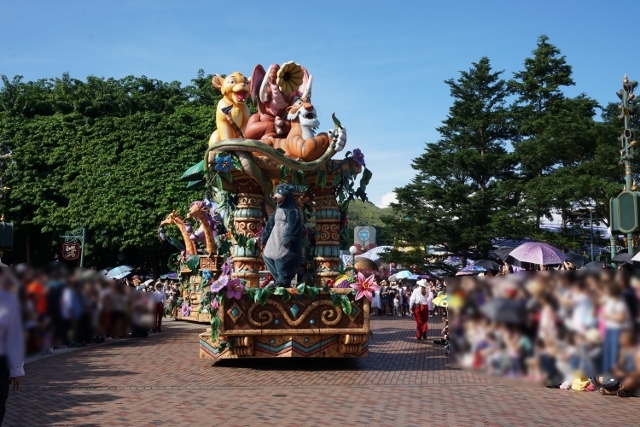 Midsummer in Hong Kong Disneyland. 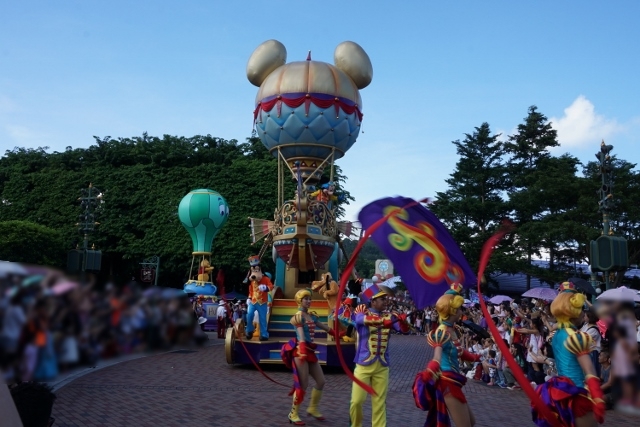 We didn't want to be outside because it was too hot, but it was time for taking seats for Flights of Fantasy Parade. It started from 4:00pm at that day. 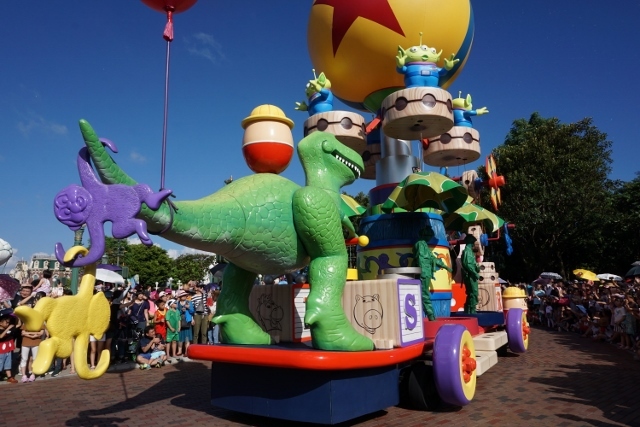 I thought it was cancelled because there were a few people waiting the parade even if it was 20 min. before it started. 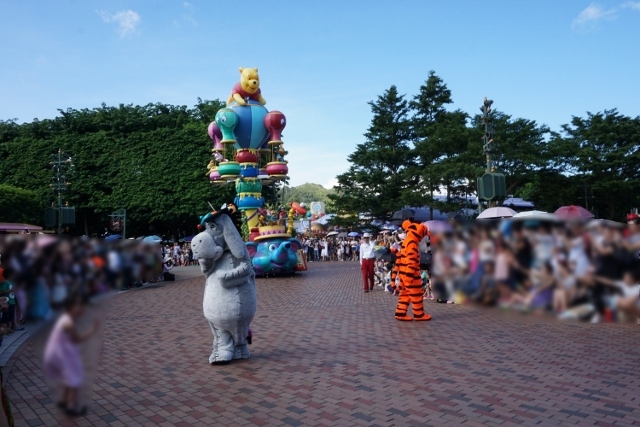 When I asked a cast member where is the best place to watch, he said it was front of the castle. 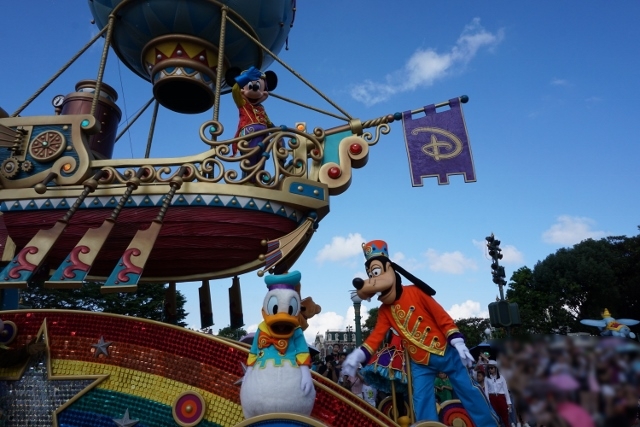 According to him, this parade has several show modes, and the float with Mickey Mouse will stop in the front of the castle. For that reason we waited there. 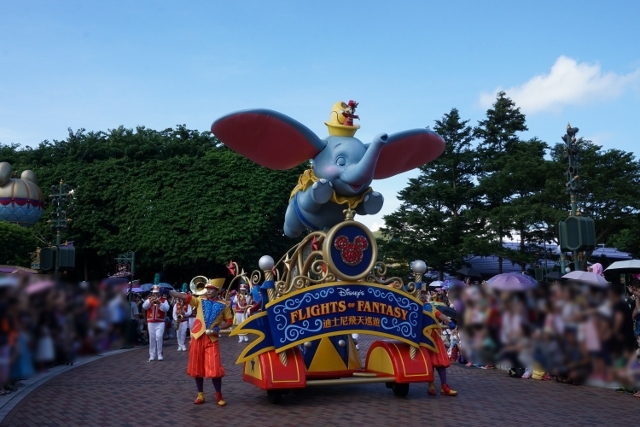 The parade started with Dumbo. 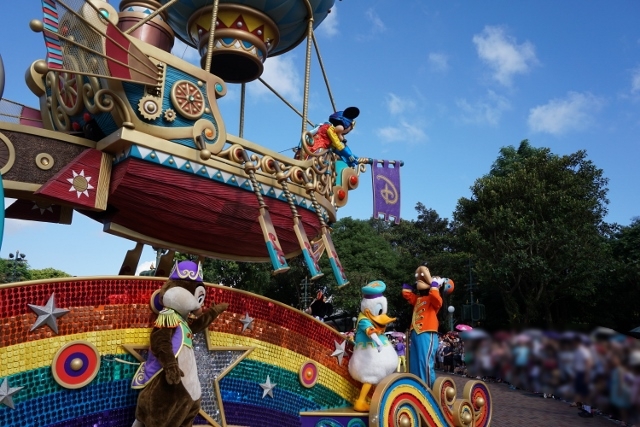 The 2nd float was like airship with Mickey Mouse, Minnie Mouse, Goofy, Chip and Dale. Mickey's float stopped in front of us. 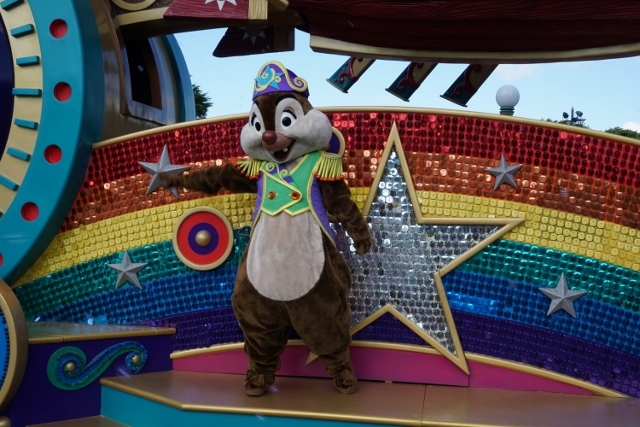 I felt thanks to the cast member who told me the best place. Then quick show mode started. 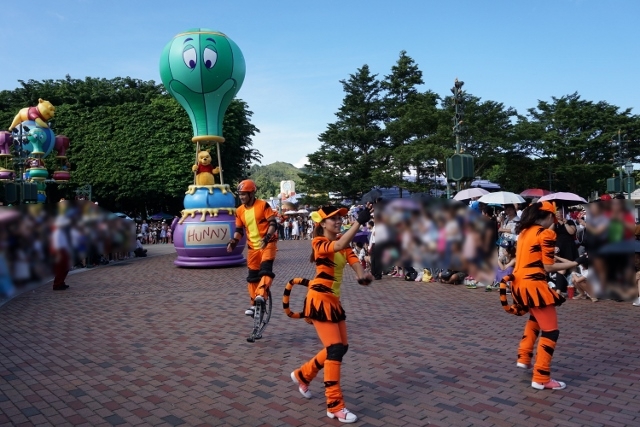 We couldn't see Minnie and Chip so they were opposite side of us. 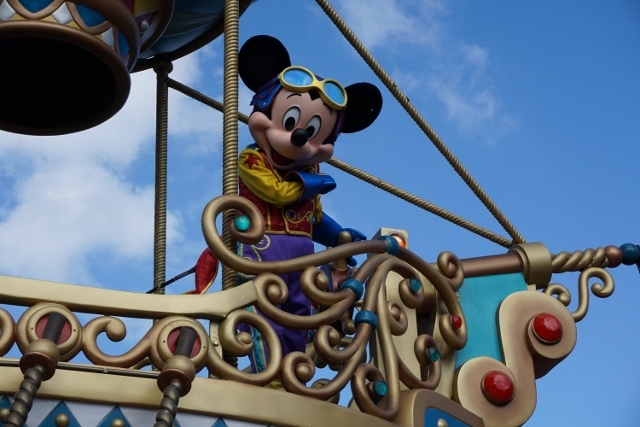 The airship with Mickey flew high. Good bye, Mickey... Next was Pooh. 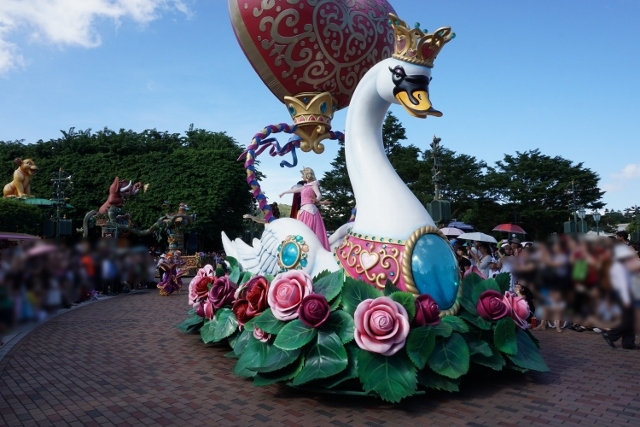 Princesses were on swan like float. 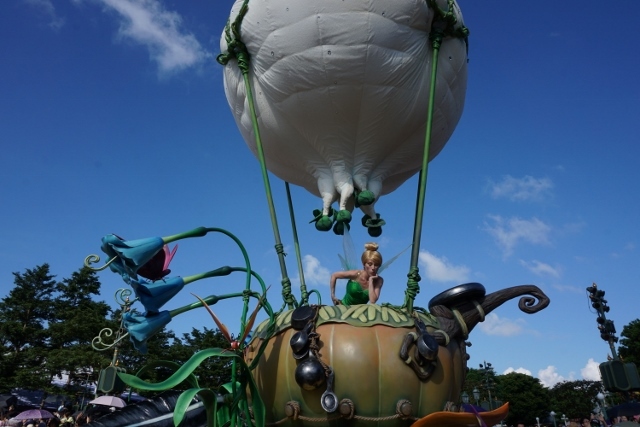 Jungle book, Lion King and Tinker Bell followed. 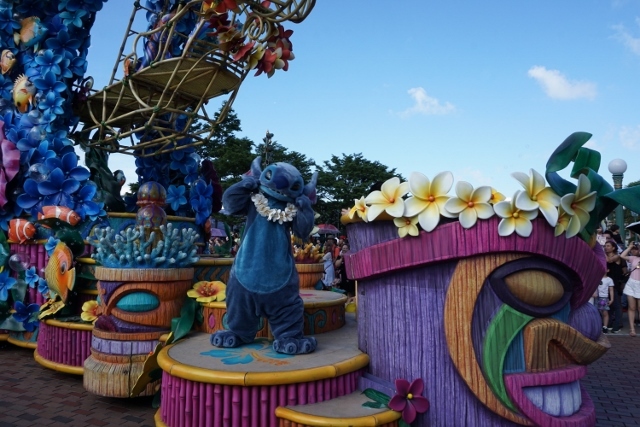 Then Stich came. 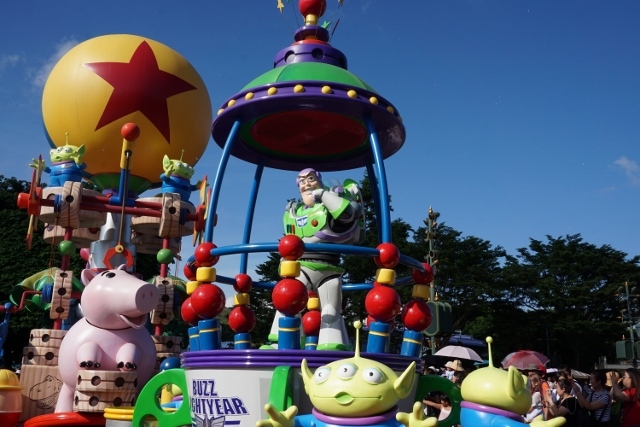 The final float was Toy Story. 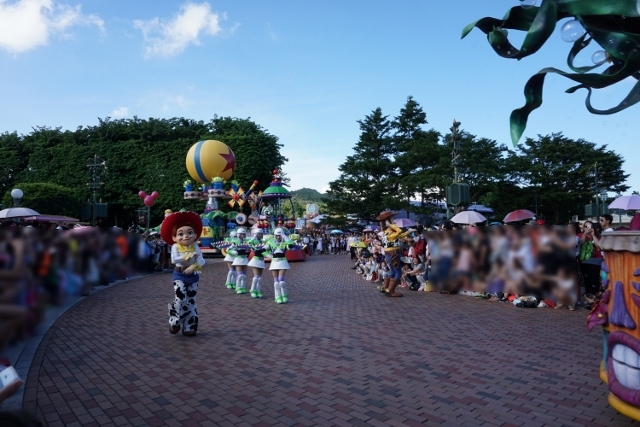 As you see in my pictures, some guests kept to put up parasols while the parade, therefore it's better to take front row if you want to see it clearly. Anyway it was great to watch. Characters were very close at hand.